WATCH: "Kalayaan, Karapatan sa Karagatan," documentary on West Philippine Sea - Balita Boss! 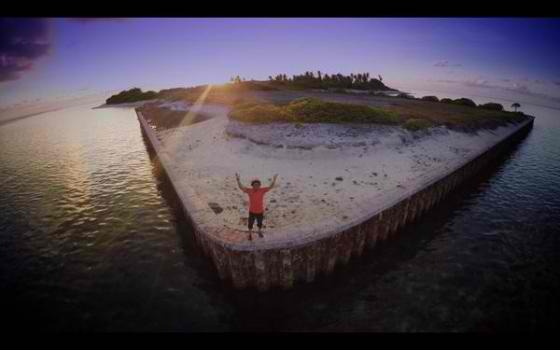 The Philippine government released "Kalayaan, Karapatan sa Karagatan," the part one of the documentary on West Philippine Sea, on June 12, as the country held its 117th Independence Day celebration. Hosted by Lourd de Veyra, the 21-minute online video explains the key issues of the dispute between the Philippines and China. It takes viewers on an aerial tour of the Bajo de Mansinloc (Panatag Shoal), as well as the impact of the dispute on fishermen and other Filipinos in the area. Funded by the DFA, the documentary is a joint project of the department, the Presidential Communications and Operations Office and the Philippine Information Agency.